Use the Mathway online Math calculator help your kids with their math homework. Great Math problem solver! Oh! I'll bed you'll wish you'd had Mathway's Math problem solver when you were in school. As a matter of fact, You'll love it with your older children! It will be easier to correct or check their homework. At least, this is the way I feel. I love how the MathWay online Math calculator lets you try to see how it makes Math easy. You enter your own Math problems to find the answers. I give some hints and directions below. You can try it free below or use their 7 day free trial to see if you want to buy this for your computer. Use these links to jump down to the calculator you want on this page. At first, I had no idea how this worked. I had to try it myself and you'll be happy to know that my opinion is that anyone can do it if I can. That way your children can use it without using the internet. A real plus! Enter your Basic Math problems in the beige space and press the bar for the answer. Click, you've got it. Scroll down to see the Pre-Algebra, Algebra, Trigonometry, Calculus and Statistics calculators. The new screen offers you a New Problem and an Edit Problem button to try it again. It's awesome as a square root calculator and you can try the MathWay 7 day trial. You can also use the online graphing calculator or Math worksheet software after you get your answer. You can also use the online graphing calculator or Math worksheet software after you get your answer, or try the MathWay 7 Day Trial. Isn't that great?! How cool is that?! You can also use the online graphing calculator or Math worksheet software. There's an online Math calculator collection to choose from after you get your answer. You can also use the online graphing calculator after you get your answer. You'll find that it is worth it to take a moment to figure how to use Mathway's nifty online Math calculator. Use the 7 day trial to see if you like it. There are several levels and each level has a square root calculator, Math worksheet software, and a free online graphing calculator. Use the tabs to change levels. 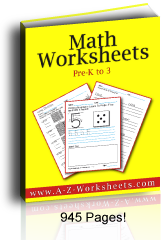 Math Worksheet Software - See the Math worksheet maker after you View Steps (you can also purchase the ad free version at this point. Square Root Calculator - Click the icon on the calculator for square roots or cubed roots and add your numbers to the formula that shows in the beige area. Online Graphing Calculator - This is also a free online graphing calculator for those who are graphing equations for Algebra, etc. It's also a free online graphing calculator. Just choose the level you like (Basic Math, Pre-Algebra, Algebra, Trigonometry, Precalculus, or Calculus) and then choose the Graph or Worksheets tabs at the top for the type of Math (tabs again) that you like. You can sign up to use the Mathway basic Math program without ads and to quickly View Steps. It's also a great square root calculator for each level. Once you've clicked the answer button, click on the View Steps button above to see the low Mathway prices. Also, you'll also have an awesome interactive online Math Glossary, Graphing Calculator and Worksheet Generator. And again, NO ads. Um. Let's just say that we are ecstatic to have found this online Math calculator. Oh! How we wish we had found it when our oldest children had been going through school. Um. Let me take that back. I wish I had had it myself when I was in school. You can enter Math problems by typing, and you can also copy and paste Math problems into the open field - I found that very handy. Go to the Math problem solver that shows the work by clicking View Steps. This is very handy when you're helping your children with their homework. After you enter a problem, even a simple one, you'll see a link that says "View Steps" and from there you can also view the Mathway prices or click here to buy it so that you do not have to be online to use it. We're very happy to have you return here time after time to use MathWay's online Math problem solver for free. Send your friends. Share on Facebook, Pinterest, and Twitter to help them with their Math problems - and, thank you for trying the Mathway 7 day trial.